Is Virtual the new Reality … Are you making the most of the opportunity? Apart from allowing us to stay in contact with family and friends in distant locations, platforms such as skype are increasingly becoming “business as usual” in the world of work. Working virtually allows us to collaborate on projects and conduct webinars with people on the other side of the world. It allows me to mentor a group of facilitators based in 7 different countries, host on-line book discussions, and facilitate groups on-line. I can coach someone in New Zealand without getting on a plane. I deliberately make a distinction between coaching, mentoring, chairing, training, moderating, hosting and facilitating – and the latter is the most challenging to do well on-line. I posted that critical ingredients for success from my perspective are: clarity about purpose; people knowing how to work within the platform; adherence to etiquette and plenty of planning, preparation and communication before the event. Having someone manage the technical aspects of the meeting behind the scenes is a real bonus – managing the shared screen, alerting the facilitator to chat comments, handling calls / emails from people trying to join the event when it’s already started etc. ?Well it’s a bonus for smaller meetings but a necessity for larger meetings. Don’t assume it will be easier, faster, cheaper (for you to do properly) because you are sitting on your behind in your office. In my experience to do it well requires a tremendous amount of preparation, specialist knowledge about how to use different platforms and how to get people engaged virtually – and often a lot of on-line follow up work. Getting people engaged virtually is another thing – the dynamic of a virtual meeting is very different from a face-to-face meeting (that’s [email protected] is virtual speak). Unless we have everyone on video (which is impossible for larger meetings and also uses a heap of bandwidth), we can’t see facial expressions or body movement, sub vocals are not available because people are often on “mute”. We can’t see how people are reacting towards each other. People speak only in turn (and their turn is often “controlled” by the facilitator). Many other natural patterns of communication that forge the dynamic of a group are not available. So there are interpersonal as well as technical challenges – and the facilitator needs to concentrate intensely to engage participants in meaningful interaction with each other. 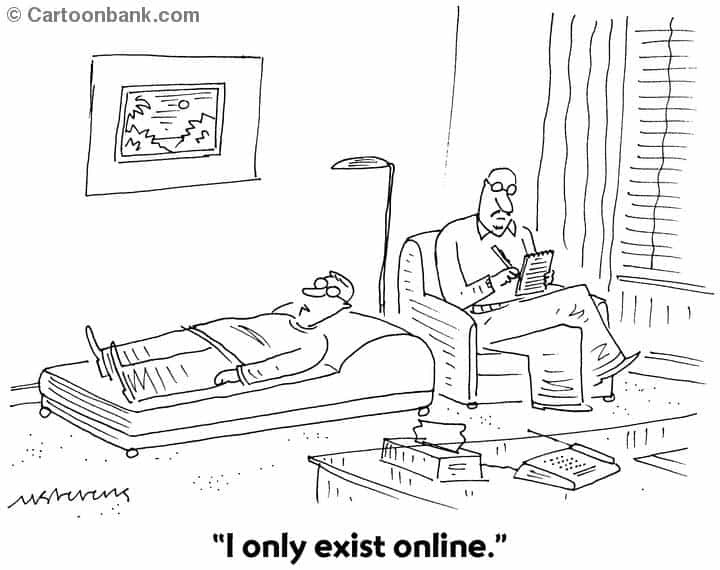 For this reason virtual facilitation has its limitations and challenges. I would be very wary of facilitating a virtual meeting convened to address interpersonal relationship problems and conflict within a team. I was asked once and declined the gig. And more and more we are in 50/50 meetings with some participants attending virtually while others are there in person – in face I am facilitating in this situation next week. Virtual is not limited to on-line meetings. There is a huge range of tools nowadays and you need to think about what is the best fit for purpose, budget and accessiblity. Private discussion groups and portals allow asynchronous interaction – great when people are in different times zones and/or need to give considered viewpoints and ideas. How are you maximising the opportunities virtual meetings and interactions present for you and your organisation? There’s more to it than meets the eye and we can show you how. At Illuma we’re in the process of designing an on-line training program on process design called The Architecture of Facilitation. The course will utilise podcasts, webinars, on-line discussion groups, skype, email, document sharing and more. Participants can work synchronously and asynchronously and we’re scheduling it to fit across a 10 hour time zone. If you are interested email us for more details. Some time ago I was having coffee with someone who said “I don’t understand why you put so much attention on facilitation. What could be so hard in getting a bunch of people to sit around the table to talk”. She then said: “Mind you most of the facilitated meetings where I work are useless, just people talking around in circles and nothing ever comes of it”. I could have choked on my coffee there and then. I’m pleased to add this person has never been involved in a meeting I’ve facilitated. Anyone who has been at an effective group facilitation at work knows there is much more involved than getting people to sit around and talk. Facilitation is much more purposeful, in fact the nature of the purpose is what distinguishes a facilitated group event from other types of group gatherings. Although there are some cross-overs, there are important differences between the role of a meeting chair, a moderator and a meeting facilitator, because their purpose is different. The terms are often used interchangeably, which causes confusion. I’ve sometimes been asked to facilitate a meeting when what the prospective client really wanted was someone to act as a moderator. My role would be to ask questions of a panel, field questions from the floor and manage the discussion. I was happy to undertake that role but asked the client to refer to me in this instance as the moderator not facilitator. They have a task to do and a timeframe to achieve it within and they seek the support of a skilled “process guide” to do that. The whole point is for people to work collaboratively which requires a focus on both the task and the relationships of people in the room. You might need to clarify the former and develop the latter. The higher the stakes for the people involved the trickier this becomes. The facilitator needs to be able to work within a process specifically designed for the task or outcome yet know when and how to be flexible around that design. A process that works well for one context may be disastrous for another. Most of my facilitation work is within organisational settings. Someone – usually a leader but not always – suggests an independent facilitator be contracted. They understand the value of having someone who is a specialist at meetings who can incorporate different methods at the right time to help the group achieve its task. They also appreciate having someone “substantively neutral” (Roger Schwarz, The Skilled Facilitator, Jossey-Bass 2002) who can manage the overt or covert relationship dynamics that can derail a meeting, particularly when the stakes are high. Pffft! How easy could it be? Well perhaps a little trickier than my coffee friend thinks. Check out the IAF’s Core Competencies for Process Facilitation It’s more than a bunch of people talking around in circles – although talking in a circle may be involved! Sandy Schuman ups the ante and refers to group facilitation as a superlative task (Sandor Schuman, The IAF Handbook of Group Facilitation, Jossey-Bass 2005). I believe though that all leaders and managers need at least basic facilitation capabilities to support their staff as they collaborate to solve problems and make decisions. And the need grows as organisations become more complex and specialised. It is a useful ability for just about anyone working in group settings that require collaboration to achieve a task. Increasingly large organisations are training staff in facilitation – they see it as a core skill for their leaders, managers and specialists. How much value could you add if you could break the meeting pattern of a one way flow of information or “people just talking around a table and nothing ever coming of it” and help the group achieve an outcome. 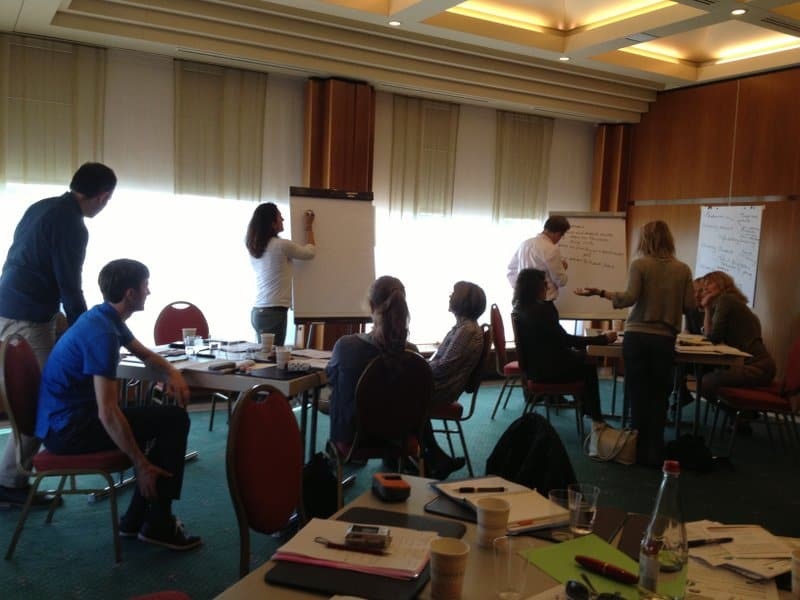 Illuma Consulting conducts training workshops in Process Facilitation. Our Foundations of Facilitation workshop is conducted as a public program or can be run in-house. Rhonda Tranks is a member of the International Association of Facilitators, the profession’s peak international body. In January 2007 Rhonda Tranks became a Certified Professional Facilitator with the IAF. This meant she needed to demonstrate all of the IAF’s Core Competencies for process facilitation through: a rigorous application process, a series of interviews, demonstrations and an assessment by an international panel. CPF’s are required to be re-accredited every 3 years. Rhonda has facilitated hundreds of meetings and off-sites ranging from board retreats to large stakeholder engagement events, planning meetings and team development events. She has trained hundreds of facilitators and has presented at IAF Conferences in Australia, New Zealand, South Africa, Taiwan, Korea, India and Switzerland and consistently receives very high levels of positive feedback. She regularly mentors experienced facilitators some of whom have attained CPF status. In addition she has over 30 years experience in training, experiential learning, instructional design and training facilitative trainers. Rhonda has served in a leadership capacity with the IAF since 2008: firstly on the regional leadership team. She served on the global board as Regional Director, Oceania from June 2010 to December 2012 when she took over the post of Director Marketing and Partnerships. She resigned from this role in March because of professional and family pressures. She remains active at a local level and is currently helping establish an IAF Chapter in her home state. Rhonda was the convener of the successful IAF Melbourne Conference in March 2012. How is a Facilitator like an Architect? You can just see the top of my silver hair tucked behind other second sopranos on the left. There were 3 more rows behind me. Ever found yourself stuck in a building or venue completely unsuitable to your purpose? How did it get in the way of optimum performance? I’m fortunate to be a member of the Melbourne Singers of Gospel (a 90 member choir) and we recently performed at the fabulous Famous Spiegeltent. The Famous Spiegeltent is a magnificent hand-made travelling pavilion built in 1920 initially designed for cabaret and circus burlesque performers (Marlene Dietrich sang “Falling In Love Again” in the mirrored tent in the 1930’s). Every March it’s assembled in the forecourt of the Arts Centre in Melbourne. I’ve seen some wonderful performances there over the years. However it was not designed for 60 singers and 3 musicians in the middle of a crackling heat-wave. Despite the thrill at performing at this iconic venue it was a struggle to deliver an optimal performance for our audience. Soloists had to be at ground level, our carefully rehearsed choreography got lost, soloists couldn’t be seen and most of us could not see our Director (rather important). All the preparation for voice placement was wasted as we squeezed in anywhere we could fit. Apparently we still sounded fabulous thanks to the quick thinking of our Director and our capacity to be flexible. So what has this got to do with facilitation – and with architecture? Think about it – facilitated events are designed and “built” for a discrete purpose and with a particular group and a specific context. One-size-fits-all solutions result in squeezing your client’s needs into something designed for someone else. Like squashing 60 singers onto a stage designed for about 10 people. The process design element of successful facilitation is frequently underestimated. I liken it to the work of an architect who consults with a client and develops a customised design. How do you design and construct your facilitation events so that they really work for the people they are designed for? It covers: consulting with your clients to identify and agree specific outcomes; analysis of the environment and context; how to design and construct a facilitated event so that it works for the people and the purpose. Participants learn how to frame an appropriate agenda and select the best methods and tools for a particular issue or stage. We also explore how to handle the unexpected when you may need to change your plan mid event. The first courses will start in June 2013 and will include one program specifically for facilitators based in India and Africa.